Don't scream....lol. I am getting bored again. I know my hair is growing but it feels...boring. I knew I was going to go back to being natural but a lot of people seem to be jumping on the 'natural' bandwagon and I don't want to be part of a trend. I am hoping that by the time I am fully natural (I hope to transition for at least 2 years) all the bandwagon jumpers would have fallen off. I can't be looking like everyone o. Anyway since I didn't know we were going to be on strike for that long, I did not take a lot of my hair products. I had to get new ones but I was being a cheapskate so I had to make sure I got things that could serve dual purposes. And I went local mehn! I got a protein leave in conditioner (made in Nigeria) for 170 naira (less than $1), bought locally made clarifying shampoos ( at 50 naira for 500ml and 200 naira for a 1000ml brand....all made in Nigeria) and neutralizing shampoo (for 250 naira). 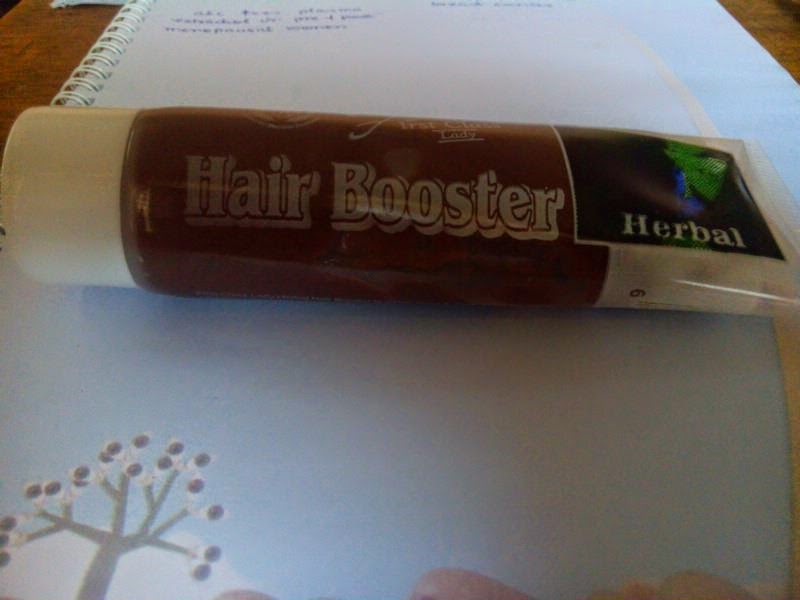 Yes I know, super cheap and possibly bad for my hair, right? Wrong! (I think) My reason for saying so...I always pre poo with oils before washing, I dilute my shampoos with water and I try to wash only my scalp once. I also always deep condition with a moisturising DC every time I wash. So I figure that by reducing the concentration of the shampoo and doing all the other helpful hair washing practices my hair would be fine. And I think it is more than fine. Besides I could not imagine buying a shampoo for 1000 naira (about $5) after the almost 1000ml of unused shampoo I had in Uyo. I also got food mayonnaise for 350 naira (less than $2). It served as my medium protein (when used alone with oils) and heavy protein treatment (when used with eggs and oils). My oils were all in uyo and after buying so much oils in Dubai (that made me pay 55,000 naira for excess luggage) there was no way I was going to buy an expensive oil. 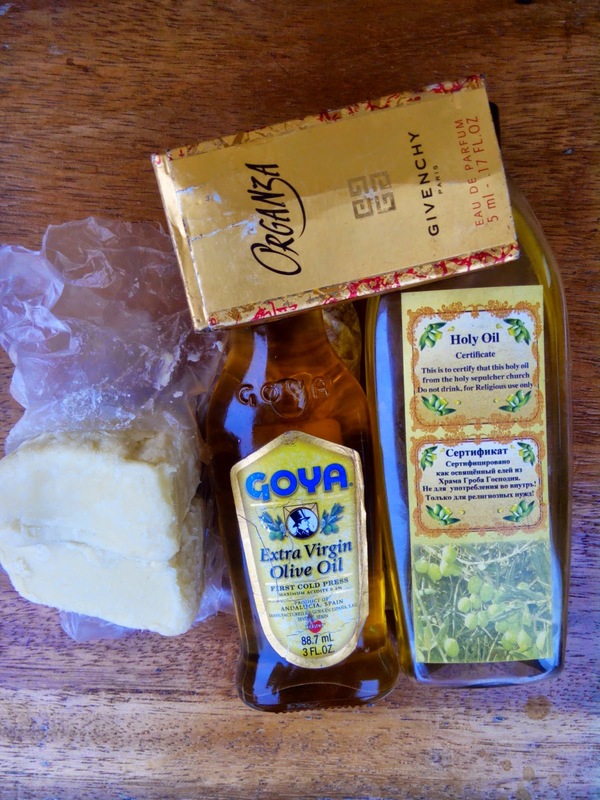 I got about 100ml of local coconut oil from a woman hawking in my area and used that with the olive oil that my mother had. I also got Shea butter for 50 naira to use as my butter. And that my friends was what I used. I don't think the items cost more than 5000 naira (about $25). 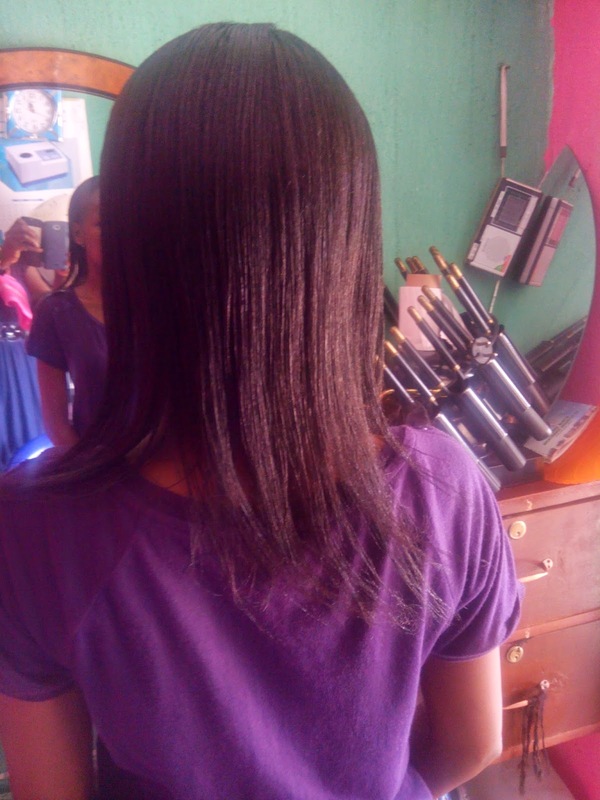 While I was at home, I noticed that my hair felt mushy and I was not comfortable with the amount of hair breaking so I decided to treat my hair to a heavy protein treatment to stop the breakage. 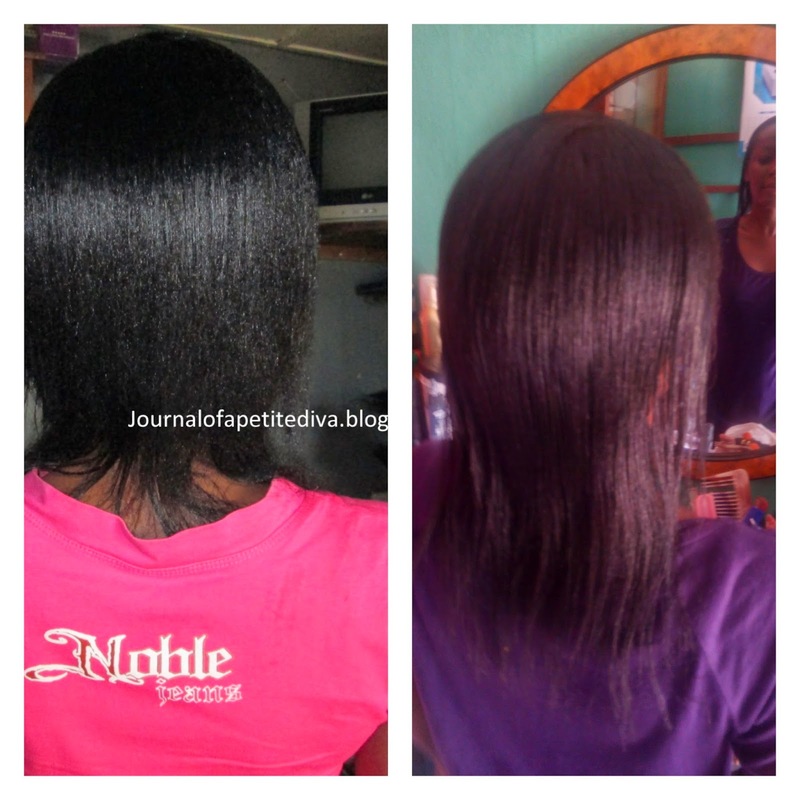 I did that for about two weeks and my hair felt stronger and thicker instantly. 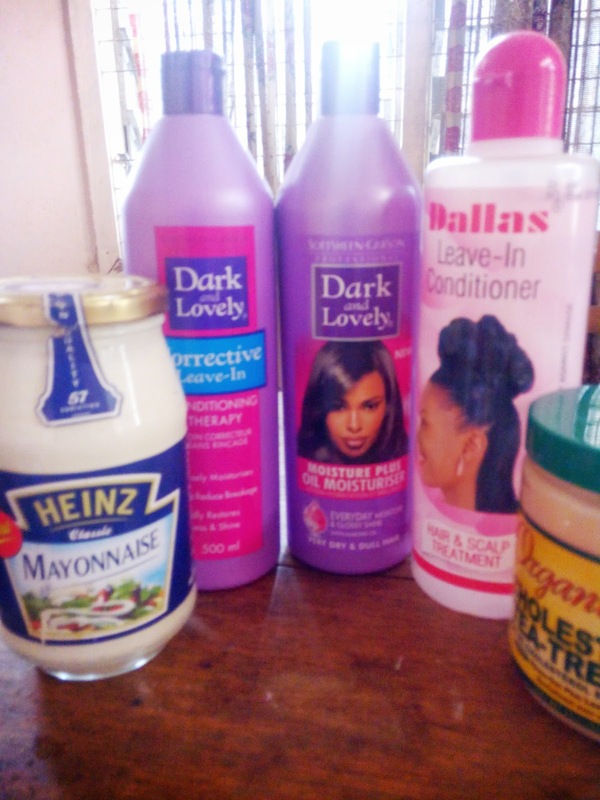 I have been carrying out medium protein treatment since then but since I want to install a long term protective style in two weeks, I am going to bring out the mayo and eggs and seriously boost my hair protein. 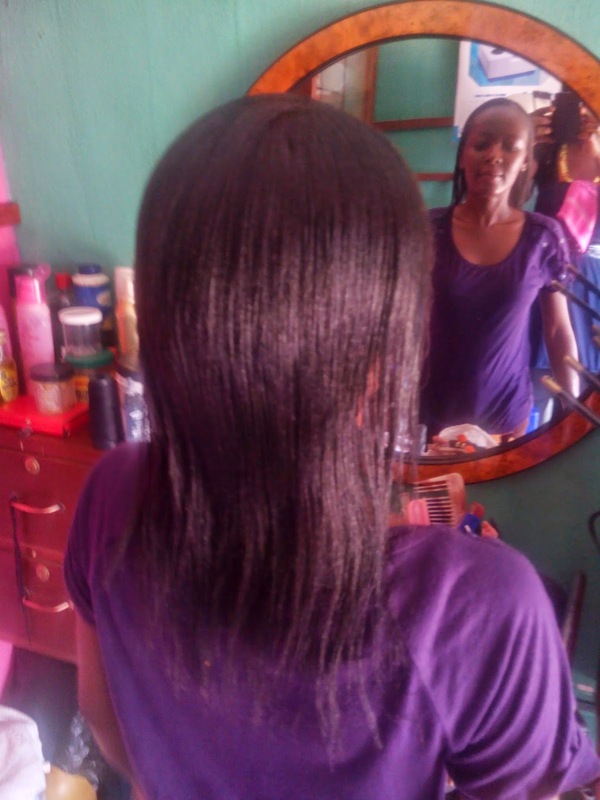 Looking at how I fared with the products I realised that it is possible to have healthy hair without having so much money to spend on products. Stick to the basics and what your hair loves and you would be fine. 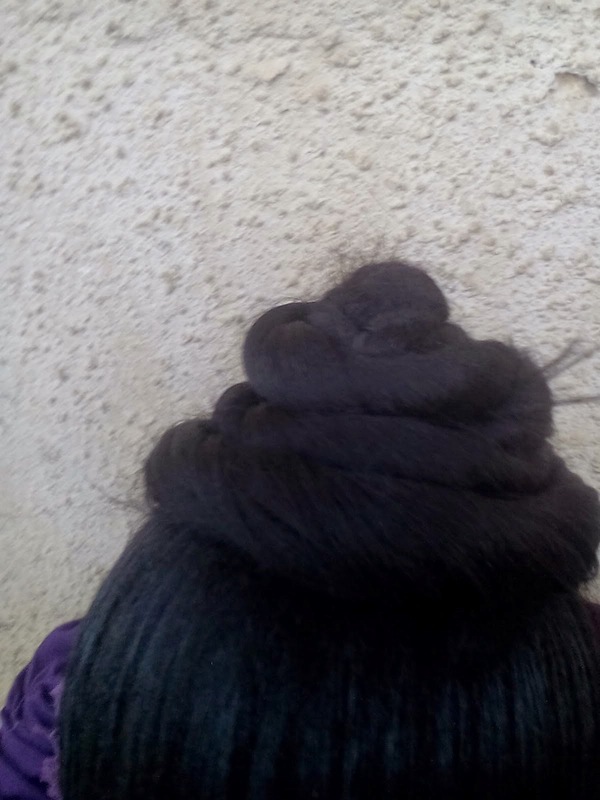 So I am not going to buy any more products and i would try to finish at least half of all my hair products this year (I have been such a product junkie, I think my hair products are worth over 40000 naira (about $200).....*covering my face*). Oh! Another thing I discovered was Bantu knots and using kankelon hair to protect my ends. My Bantu knots seem to be awesome with the Dallas leave in and the dark and lovely leave in conditioner (not that I have used anything else..lol). Anyway that was what happened to my hair after the braids. You see...nothing interesting.... I hope I can be excited again about my hair and don't chop it all off. 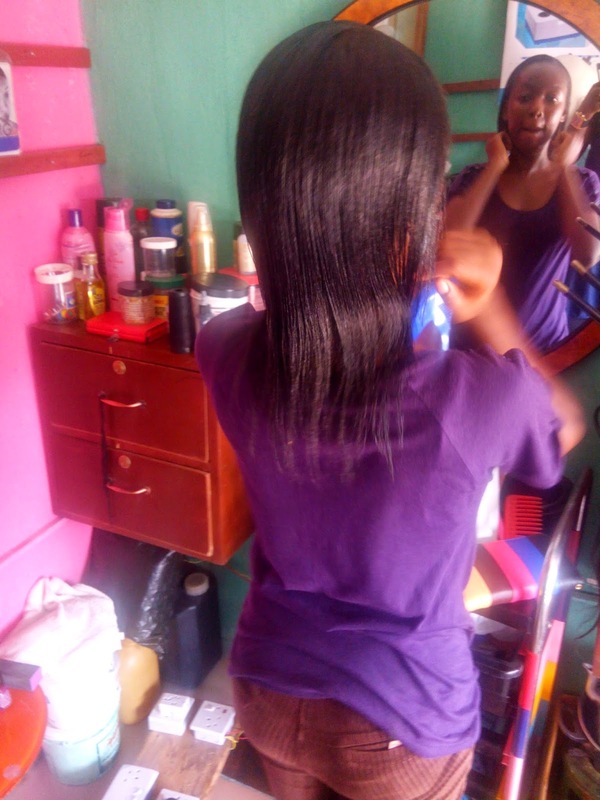 I saw a previous picture of my hair and I realised that my hair had really grown (it could have been better but for all the setbacks I have had). Comparism...Left: Nov 2013 Right: Dec 2014.....It is longer (I used my digital camera for the left and phone camera for the right...hence the colour difference). Omo mehn... see hair regimen of life. I think I got lost after food mayo. Much respect though. U dey try plus 40k worth of hair products??? I hail. Oh dear, all this for your hair? ?...Phew!...Hows mi petite doing? lol....I am fine, how are you? Products look awesome. I'd like to know if the growth aid works. Thanks.. I am still trying to see if it works. Nice going with the shea and coconut oil and the other stuff you got at great prices. Hair really doesn't need expensive exotic stuff to flourish. Congrats on transitioning again. Lol. Although I think there'll be loads of people still natural when you do. Many women have made the commitment. Yes some may give up and relax but then another person big chops and goes natural. Ohhhhhhhh....i was wishing that it won't be balanced. Oh well, it is just hair. Thanks a lot. I do love it even though some people say it does nothing to their hair.